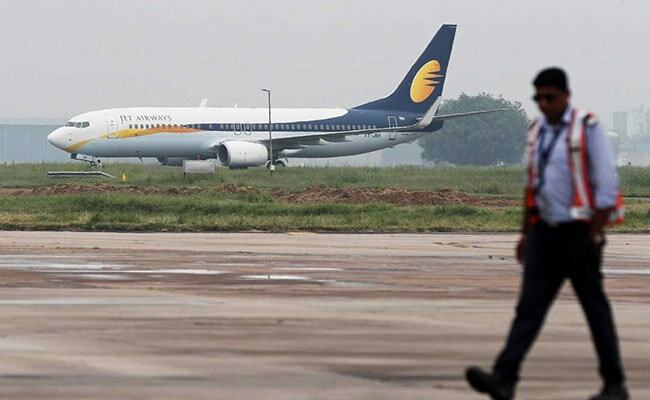 Jet has asked for an emergency funding of Rs 400 crore from lenders. In a letter to employees on Tuesday, Jet Airways CEO Vinay Dube said the management has stressed on the need for urgent funding to lenders. The Jet management said that specific areas that will be impacted if the funds don't come in have been highlighted. With a debt more than Rs. 8,000 crore, the cash-strapped airline is struggling to stay afloat, and owes money to lessors, suppliers, pilots and oil companies. In an attempt to reassure employees, sources told NDTV, Mr Dube also said the management will work proactively with lenders to provide all the support required to revive the airline. The CEO concluded the note by stating that Jet is also working closely with potential parties keen on bidding for the airline. Jet Airways has sought emergency funds from banks and is currently operating only five planes, reported news agency Press Trust of India on Tuesday quoting Civil Aviation Secretary Pradeep Singh Kharola. The airline has already suspended its international operations till April 18. Separately, the civil aviation ministry would convene meetings of representatives of airlines and airports on April 18 to discuss capacity expansion, rising airfares and other issues, said the PTI report. Jet has asked for an emergency funding of Rs 400 crore from lenders. It is a commercial decision between lenders and the company, news agency ANI reported citing the civil aviation secretary. The airline said it is awaiting "emergency liquidity support" from the State Bank of India-led consortium of lenders to arrest further deterioration in its services, in a BSE filing. Meanwhile, Jet Airways founder Naresh Goyal decided not to bid for acquiring a stake in the airline. Mr Goyal along with his wife Anita had stepped down from the airline's board last month. Mr Dube in a statement to employees on Monday said the interim funding from the lenders was "not forthcoming thus far" and it had to shut its international operations till Thursday.